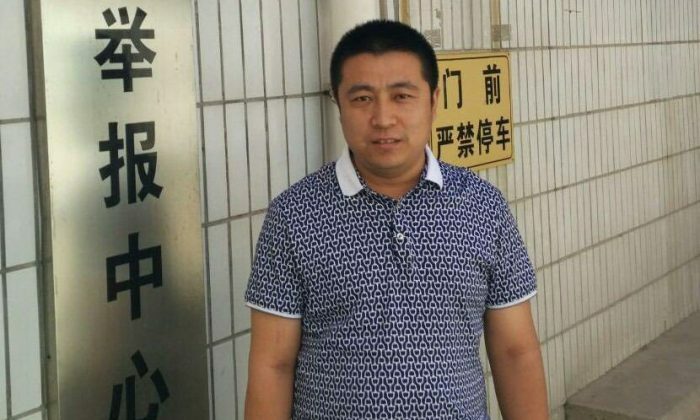 The Chinese lawyer who defended Zhao Wei, a young legal assistant who was recently released on bail after a year in custody, was arrested on July 8 by Chinese police on charges of “picking quarrels,” for a series of posts he made to social media. Ren Quanniu became Zhao Wei’s lawyer after she was arrested this time last year in a massive crackdown involving around 300 human rights lawyers and activists. Her case became a focus of international attention, appearing as a young idealist mercilessly suppressed by a powerful police state. Soon after being released from custody on a kind of bail recently, Zhao Wei’s social media accounts sprung to life with dubious posts that seemed to indicate that she was not the one sending them. Five posts in a row following her release, Zhao expressed her joy at being free again, her gratitude to the police, and her “shock and anger” at her own lawyer, Ren Quanniu, “vilifying” her. A long letter was also posted blaming her former employer, the respected rights lawyer Li Heping, with manipulating her. Ren Quanniu’s skepticism that Zhao Wei was really behind those posts appears to have quickly led to his own arrest. Many internet users were similarly dubious, saying Zhao’s Weibo was likely under police control. “Just that one phrase confirms all our suspicions,” commented Weibo user “Johnasson V,” referring to an awkward remark in Zhao’s post, which used official-sounding language. “This is getting absurd,” another commenter wrote. Internet users drew particular attention to the apparent manipulation of photographs of Zhao, where a mole on her neck appeared on the wrong side. The browser that she used, 360 Safe Browser, is also favored by civil servants, and Zhao has never been known to use it. “That part about ‘how nice the police were to her,’ it is apparent whose tone and thought it comes from,” Ren Quanniu told Radio Free Asia before his arrest. Zhao is still in police custody, despite having been released from prison. You Minglei, her husband, first publicized the news Ren had been taken into custody by Zhengzhou police. He vented his anger on WeChat, a popular Chinese social media service. “Over the last year lawyer Ren has been conscientiously and diligently communicating with authorities, and has repeatedly asked to meet with Zhao Wei,” he said. He continued: “The explanation of the Zhengzhou police… is just ridiculous,” calling it a “shameless act” and demanding the release of Ren. Zhao’s family has raised questions about whether she is still in the custody of police. The carefully curated posts she has made to social media, and doctored images, may indicate that this is so, and that the posts were simply meant as a ruse to give an appearance of freedom and safety. “It is likely the government posting in her name,” her husband wrote on WeChat.